Hi guys! Hadn’t been updating this space for quite awhile due to my hectic schedule. Sigh.. Anyway, partnered with Mynt today at *Scape flea market today! 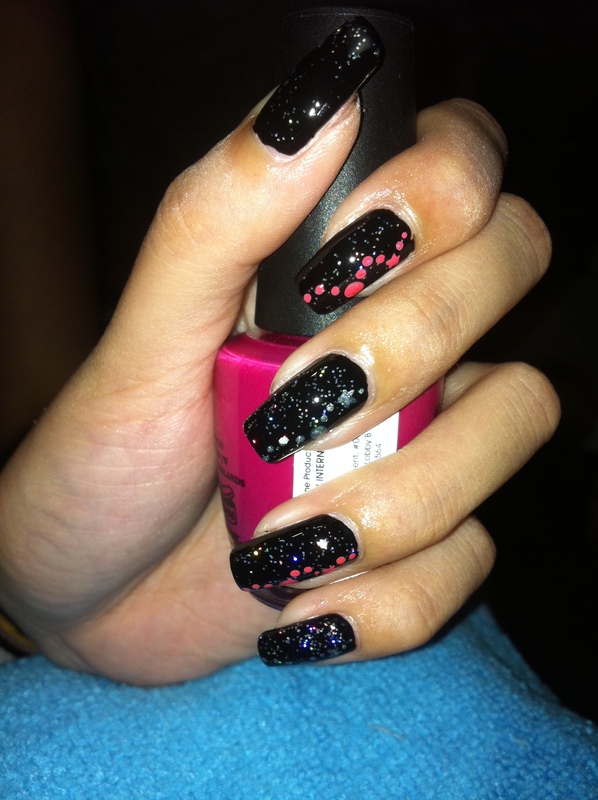 Had quite a bit of customers requesting for nail art today! Happy happy! Can’t say that I dislike doing express mani without nail art (can practice more on polishing), but it’s kinda dry doing just plain mani, you know. God gave us big and long nail plates to put on polish with nail art muahaha! 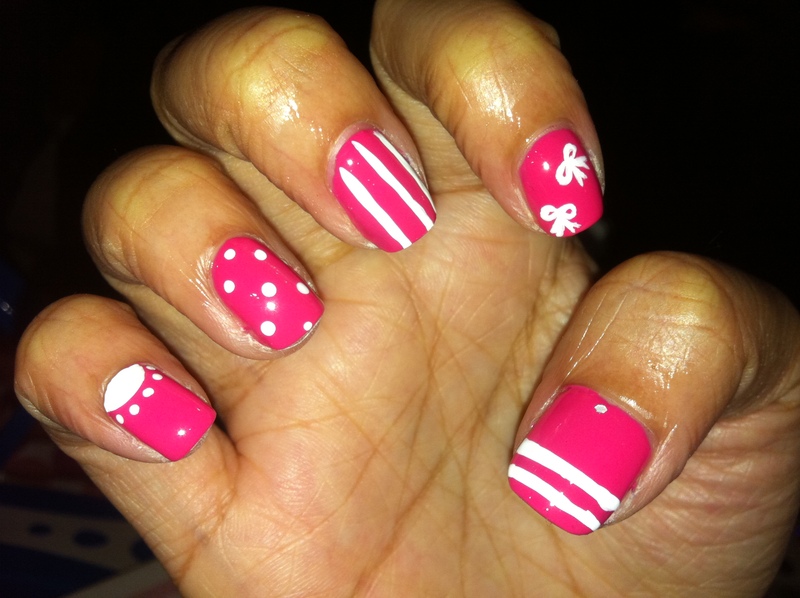 Colour: OPI Strawberry Margarita, nail art done with white acrylic paint. 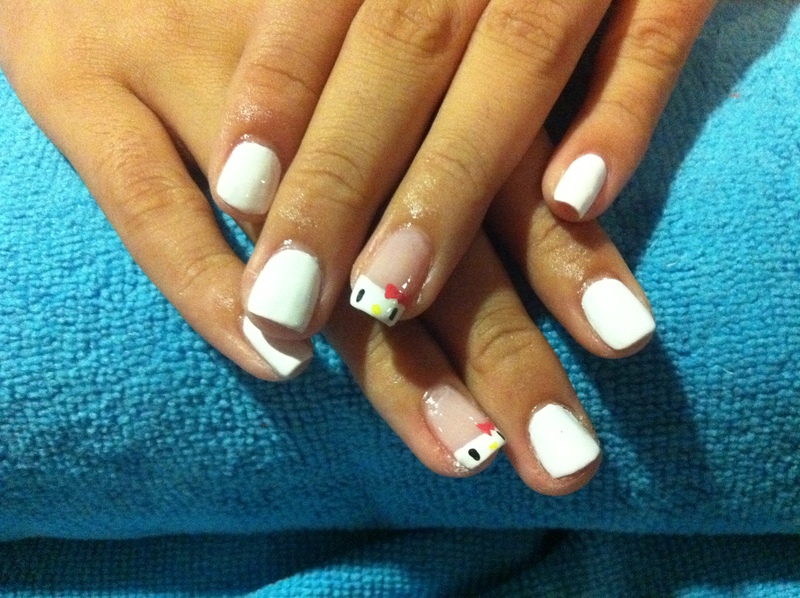 Colour: China Glaze Inner Beauty + China Glaze White on White, nail art done with acrylic paint Working in progress.. Lesson again yesterday and we had to do a one-feet-pedi for our partners, full set with cuticle cutting, massage, and polishing! Nail polish requirement – 3 red and 2 french. IMO, I feel that guy’s nails are the most difficult to work on.. So small how to polish?! Need to do french somemore?! Peng’s attempt, on my nails. LOL at my previous nail polish, I know my nails are super yellowish, I never remove the nail polish until I find time to repaint it. (And oh I still have the below polish on, 3 red, 2 french and multi polka dots hahahahaha) Taking secret shots of my classmates! Peng doing classic pedi for me (: Our class! Nicole in the middle is our teacher for this module (: And yes Peng’s the only guy in our class, cool not?? !